2015 MTV Africa Music Awards “Best Female” award winner Yemi Alade premieres the music visual for “Duro Timi”; a Sizzle Pro produced emotive ballad sheltered on her acclaimed debut album “King of Queens”. Directed Ovié Étseyatsé and co-directed by Taiye Aliyu, the story-telling video was shot in London, United Kingdom. 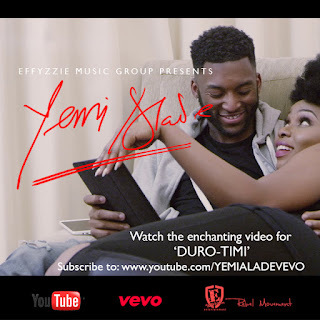 “Duro Timi” is a Yoruba phrase which means “Stay with Me” in English.